Whenever you try a design in a new niche and need to choose whether to target men or women, target women first; women tend purchase online more so they are the preferred target audience when testing a new niche. You don’t have to reinvent the wheel every time you want to launch a new design, sometimes it’s enough to see what worked in one market and apply it to another. Motorcycling is a popular hobby and has a passionate following in the US. It’s also an evergreen niche, because people bike year round all over the country. There are many niches in the US that work in Europe – sometimes you just need to tweak the design style slightly. For example, designs for the US biker niche tend to include things like skulls, flames, etc. 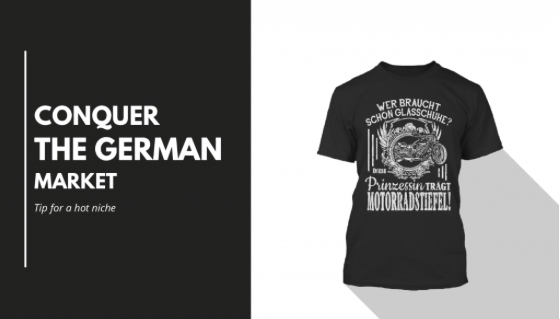 When we researched the German motorcycling niche, we noticed that it is less “intense”, i.e. people are not into flames and skulls as much as in the US. Bikers in Germany are also very passionate about this hobby and it is also popular among women. 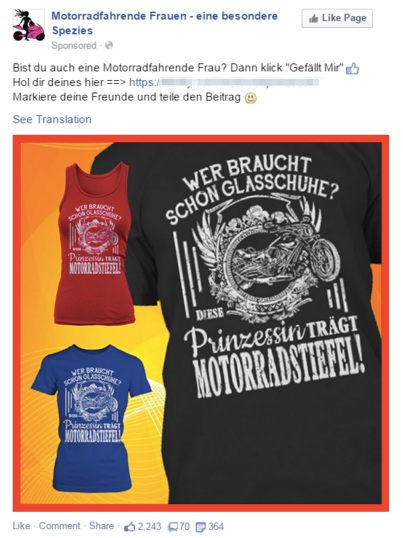 That means that the female German biker niche is a good one to target, but we needed a slightly different design than what we’d normally use for US buyers. Because it’s usually easier to test a niche with a design for women, we decided to pick a funny design for female bikers. 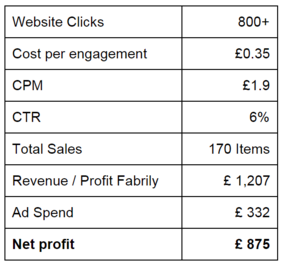 You can research your niche and design message in English, and then translate it to suit your target market. Through our online research we found a funny phrase that was popular in a variety of forums, it says: “Who needs a horse? Real princes ride motorcycles”. As this message was extremely popular, we decided to try something similar for women. After more research for general messages, sayings, quotes etc. we decided to go with the message “Who needs glass slippers? This princess wears motorcycle boots!”. We created a biking themed design featuring this message and voila, we’re ready to create our new listing! The most popular color among the biker community is black. Therefore, we made sure to have a black color option available for every product featured in our listing and set black as all products’ default color. We also added some other popular colors like navy blue, royal blue and red. We added several product options to appeal to a variety of women: a unisex tee, a women’s tee, tank top and a sweatshirt. The prices for the tees were set to €18.99 incl. VAT and €29.99 incl VAT for sweatshirts. The title and listing description were short and translated into German. Are you also a biker woman? Click like!